Simon de Montfort drew his last exhausted breath on a bloody Worcestershire battlefield. Outnumbered four to one, the powerful sixth Earl of Leicester had refused pleas to escape to safety as the Royalists continued their charge forward. “Our bodies are theirs, our souls are God’s,” he boomed as a hit-squad of knights, sent to assassinate him by Prince Edward, the heir to the throne, slowly closed in. It was to be the French born nobleman’s final hurrah, and the victory at the Battle of Evesham on August 4, 1265, was to belong to de Montfort’s brother-in-law Henry III, the king of England. Although by then, the damage had been done. That January, de Montfort, a renegade baron, had presided over England’s first elected Parliament, setting in place the Provisions of Oxford, the cornerstone of the nation’s democratic process. And while his body was triumphantly hacked to pieces, nothing could be done to dismantle de Montfort’s legacy. Today, though, there are two distinct schools of thought when it comes to remembering the Father of Democracy. A man who, you may know, gives his name to half a dozen city streets, a university and an entertainment venue. On the one hand, we have the people who celebrate his life, and on the other there are those who see him as little more than a Middle Ages mercenary; an aristocrat who murdered and kidnapped in his singular pursuit of power. Aubrey Newman, a history professor at the University of Leicester and an expert on Anglo-Jewish relations, is one who falls into the latter camp. 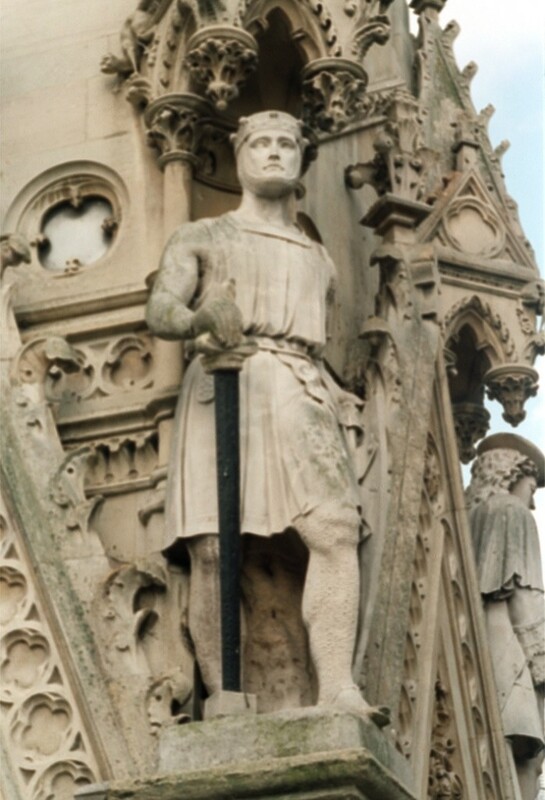 “If you’ll permit the use of four-letter words, both of them were shits,” says the outspoken historian, smiting both de Montfort and his father, also called Simon de Montfort. 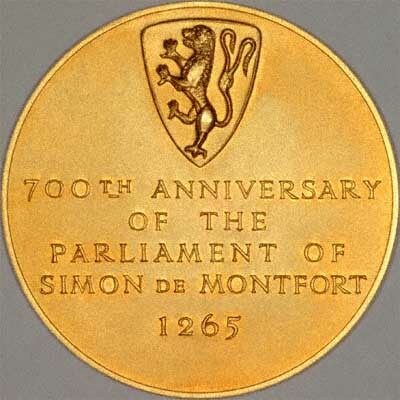 “Simon de Montfort (the younger) was almost certainly involved in the massacre of several hundred Jews in London in 1258. “And his father led the Albigensian Crusade,” he says wryly. The crusade was against the Cathars of southern France, a Christian sect against whom the ruling Catholics had declared Holy War. Historians accuse the elder Simon de Montfort, a Catholic commander, of wholesale slaughter as he enthusiastically carried out the wishes of the Pope. While in the city of Beziers, in 1208, which was part Cathar, part Catholic, a baron approached the nobleman and asked him how the troops were to tell the religious sects apart. (I’ve heard since this was said by de Montfort’s churchman). However, says the professor, the de Montforts lived in a time of incredible religious fervour and orthodoxy. The Crusades were in full swing and widespread killing was easily justified in the name of God. “This was the 13th century, this sort of behaviour is not at all unusual,” says Prof Newman. However, the younger Simon’s prolific anti-Semitism has tainted his name in recent years – even to the point that there was talk of toppling his chain-mail effigy from the city centre’s Clock Tower. It all began when a group of Christian campaigners called on the city council in 2001 to renounce a charter issued by de Montfort in 1231 – calling for landlords to turn away Jewish people. “No Jew or Jewess in my time, or in the time of any of my heirs to the end of the world, shall inhabit or remain, or obtain a residence in Leicester,” read De Montfort’s charter. And it was issued within months of the French noble arriving, albeit penniless, on English shores. However, the professor believes this charter wasn’t actually worth the parchment it was written on. “What I’m saying is it had no impact, because I’m 99 per cent certain there were no Jews living in Leicester at that time. “It would be like me promising not to beat up any Chinese-born men – what chance have I got of coming across a Chinese man?” he says. Standing up for Simon de Montfort is Iris Pinkstone, the chair of the Simon de Montfort Society, a charity that aims to educate people on the life and times of the Leicester earl. She says Simon’s charter – ostensibly a suave 13th century PR move – has to be understood in the context of the age. “A very large number of people were anti-Jew because of the money they had. He wasn’t different to any other man of his day. “Like the people of his day, he did treat Jews badly. Once again, I do believe his idea of democracy wouldn’t be what ours is today. “But I think what the man had was that people were drawn to him. He was friends with the Archbishop of Canterbury, the scholars, and the common people. “In other words, I think he had the common touch. “Perhaps Princess Diana had it to some degree; she could enter the council house as easily as she could enter the royal apartments. Giving some indication of the charisma that de Montfort wielded, as he fought to the death on the battlefield at Evesham’s Greenhill, his men did not waver. They fought alongside him to the end. “He also bothered to learn English, he had a good command of the English language and I believe his marriage was a genuine love match,” says Iris, who is hoping the National Lottery will assist the society’s plans to make the battle site in Evesham a tourist attraction. There are, however, many stories of what happened to de Montfort’s body – or what was left of it – after the Evesham battle. One story is that the torso was found by commoners and brought to the monks at Evesham Abbey, where his body was then buried beneath the altar. Sound familiar? Later, due to an increase in the number of pilgrims to the tomb, the body was removed and its whereabouts remain a mystery. “One theory is that part of it was taken to Kenilworth Castle, which was one of de Montfort’s homes,” says Iris. Simon was also venerated as a saint after his death and a hymn was sung in his honour. “It’s interesting to think a Frenchman came to England to make the king honour the Magna Carta. “He made the king, or tried to make the king, stick to the rules laid down by the Magna Carta. “But I do think we owe him something, or why, in 1965, did we commemorate him at Westminster Abbey on the 700th anniversary of the first Parliament? Churchill, certainly, had a great respect for him. “We recognise he had his faults and he was a very controversial character, but what we can say is that he was one of the greatest men of his age.